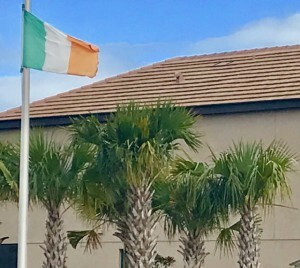 St. Patrick’s Day – Ireland’s national holiday – is celebrated all over the Emerald Isle and around the world including, Lakeland, Florida – home of the Detroit Tigers spring training complex. The Major League Tigers will play the Atlanta Braves on the holiday, but it won’t be your average game in Tiger Town. Irishman Christopher Follenus has housed some of the Tigers. 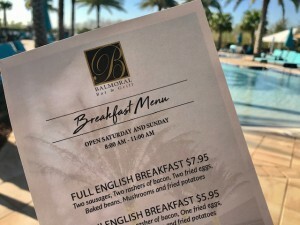 The Dubliner is business development manager for Balmoral Resort Florida, Irish-owned accommodations near Lakeland, where some of the Tiger players and management have stayed throughout spring training. Follenus probably didn’t find a Guinness at the ballpark, but after a laugh about the slow pace of the game, the Irishman insisted once he started to understand baseball, he liked it. 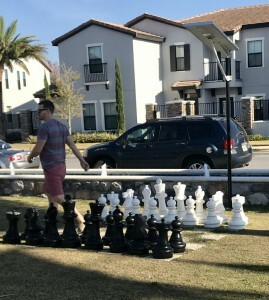 The pace is what the players, fans and even Disney-going vacationers like at the easy going Balmoral Resort which rents only full-house townhomes daily, weekly or monthly, in a gated neighborhood setting. 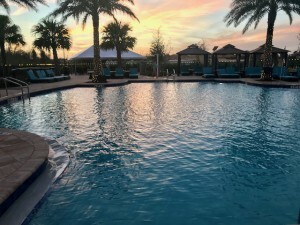 “Families like the space to relax with a rental home away from home and have their own swimming pool, so it’s like a vacation, too,” said Follenus. 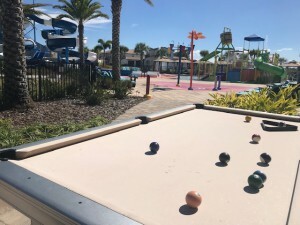 All guests at Balmoral Resort also enjoy a waterfront area with a large, heated, zero-entry swimming pool, Jacuzzi, waterslides, a game room, bar and restaurant (including a traditional full English breakfast) and live music, plus beach volleyball and putt-putt golf. Follenus celebrated St. Patrick’s Day a day early at Balmoral with a costume contest, games, dancing and green drink specials from Jameson for guests. Follenus said he will, for the first time, visit Detroit this season. He will surely be taken to the Corktown area, settled by Irish immigrants from County Cork. Old Tiger Stadium used to stand virtually surrounded by pubs such as Reedy’s, Nancy Whiskey, and the Gaelic League in Corktown. Lakeland is where the Tigers have started each season for the last 83 years – by far the longest-running “Grapefruit League” relationship between a team and a city. The ballpark in Lakeland holds 8,000 people with a grassy berm in the outfield for picnicking, enjoying the sun, playing catch, and yes, napping if needed! Ticket prices are as low as $16. 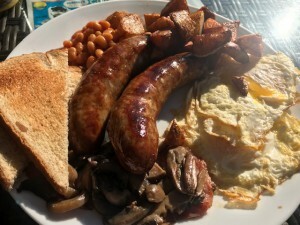 “It’s a laidback and personal experience. You can meet the players and get pictures and autographs,” said Burek. Delta flies directly to Orlando and Tampa airports – with Lakeland an hour or so from each. 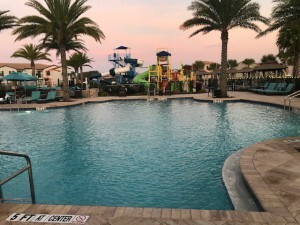 Balmoral Resort is very close to LegoLand, Cypress Gardens, and Southern Dunes golf course. Streamsong golf course, designed by Michigan’s Tom Doak, is an hour from Balmoral. 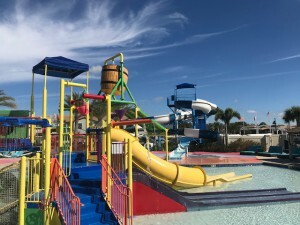 Plan a trip via VisitCentralFlorida.org or BalmoralResortFlorida.com or Ireland.com.